With springtime right around the corner, not only do we get the pleasure of the trees and flowers coming back to life, many homeowners find that their homes are a safe haven for pests. Whether it’s bugs, mice, critters or snakes, almost every home has some kind pest control need that needs to be addressed as part of your annual spring cleaning chores. Te help you decide if Do It Yourself Pest Control is something you want to attempt, we decided to put together a list of simple tasks you can do to prevent pests from entering your home this year. 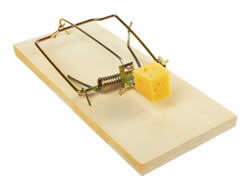 We also review how they may or may not help you with your DIY pest control needs. If you’re a homeowner who has successfully taken on your own pest control project around your home, please jump in below and share your efforts and results. If you are like us and prefer to use a professional exterminator service that takes care of everything from prevention to management, get a free quote for pest control, and eliminate the worries all season! We’ve compiled a list of preventative tips for DIY pest control. Please send in your own tips by using the comment form at the end of the page. Lets see how high we can get the number of tips up to! 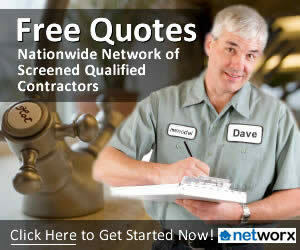 If you prefer to let a Pro handle it, get a free pest control quote now. Use weatherproof caulking to seal all cracks around doors and windows. Keep tree branches from touching your home or hanging over the roof, ants will drop in from above. Never use wooden landscaping chips or bark mulch directly against the side of your home. Apply or replace weatherstripping at the bottom and sides of all doors and windows. Don’t bring firewood into your home for storage. Knowing which snakes live in your area, and which are good and bad is very important. Don’t kill the good snakes in your area. Keep cabinets and food storage areas clean and make sure no open boxes exist. Make sure all vent pipes and tubes on roof have screens installed over the top of them to keep the birds out. If you have problems with spiders outdoors, check out our guide on How to Get Rid of Spiders Outside Your Home for helpful hints on how to get rid of them. How Do You Control Pests in your Home? Contribute your own Do it Yourself pest Control Tips to the comments box below.